Well, dear friends, the time has come to reveal my exciting news to you all. I have had an amazing opportunity offered to me by a Ugandan Tour company. 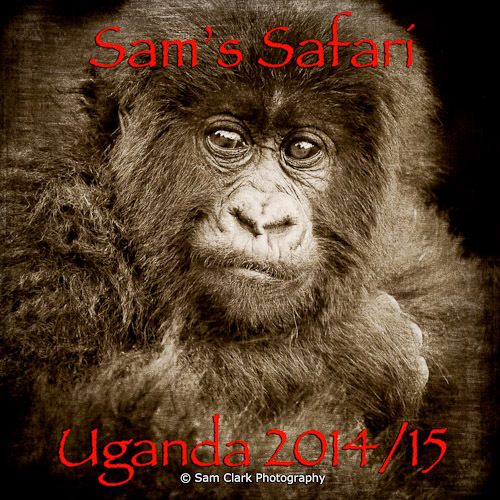 As of 2014, I am thrilled to be offering you an incredible opportunity to join me on a photographic safari to Uganda. I will undergo a promo tour in January 2014, with safari’s to commence June/July 2014, and again in December/January 2014/15. These exciting adventures of a lifetime will include an opportunity to witness the ‘Big Five’ including the incredible tree climbing lions, a walking safari to see the endangered Rhino, trekking through the forest in search of the Chimpanzees, spend a life changing hour with the Mountain Gorillas, a boat cruise on the famous Nile River, a cultural performance and much much more. There will also be informal photo instruction throughout our safari where I will help you to achieve the shot you desire. We will spend longer in the field to maximise photographic opportunities, and will have limited passengers per safari vehicle to allow more room for gear and better viewing. If this adventure sounds like you, please contact me for further details or to register for the safari. I will have a more detailed itinerary with prices on my blog in the near future. My safaris are limited to seven people, and with interest already, places are sure to fill fast. Let me show you why I fell in love with Africa!